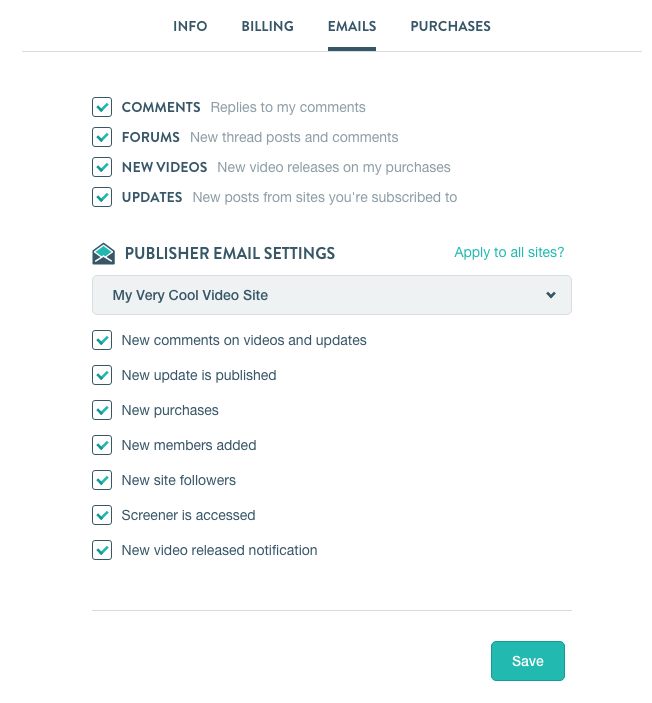 To access your Vimeo OTT account settings page, hover over your icon in the upper right hand of the Vimeo OTT Admin and click on Account Settings, or visit http://vhx.tv/settings. Delete Account - If you want to totally remove your account from Vimeo OTT, you can do so on the bottom of this profile settings page. 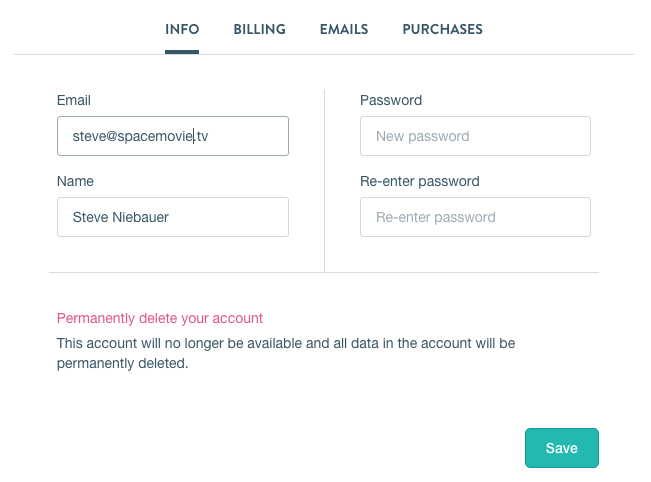 If you are an admin or member of a selling Vimeo OTT site, you will need to be removed from those sites before you can delete your account. On the billing tab, securely save your credit information to quickly purchase Vimeo OTT videos in the future and for subscription charges. Why would you save your card on Vimeo OTT? The next tab on the settings page lets you manage Vimeo OTT email notifications. These are the different emails that you receive from Vimeo OTT when events occur on your account. New comments on videos and updates - Any new comments on Update from your site. New update is published - When a new Update is published from that site. New members added - When a new Member or Admin is added to your Vimeo OTT site. 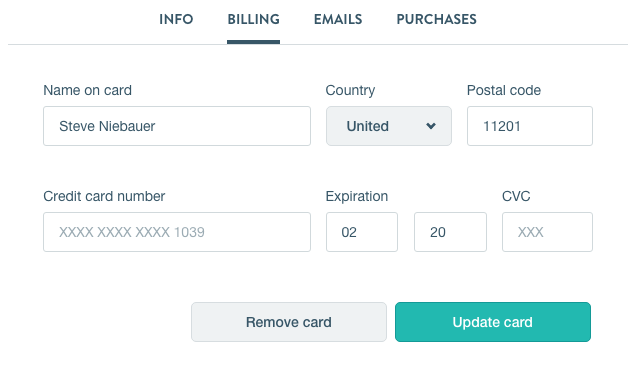 Screener is accessed - Whenever a Screener that you've sent out, is accessed. New video released notification - When a new video released is to a Product from that site. Unsubscribe from all Vimeo OTT emails - Click this to stop receiving any notifications from Vimeo OTT.